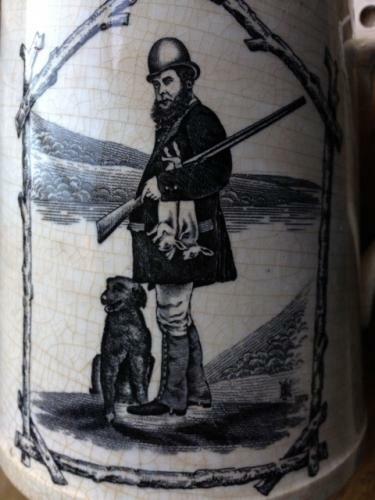 Victorian black and white Poacher mug dated 1879. General condition good. Decoration to handle and inner rim. Minor crazing and discolouration typical of these early Staffordshire country mugs.